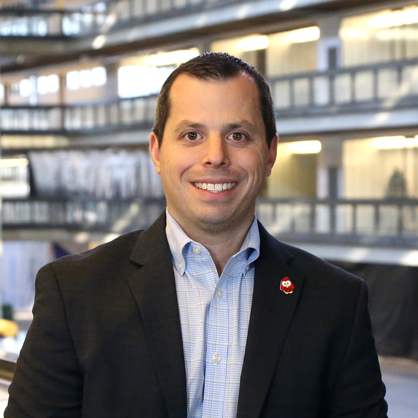 Adam Feigenbaum is the Chief Customer Officer for iCIMS, leading a team responsible for delivering a superior customer experience. Feigenbaum joined iCIMS shortly after it was founded and helped build the company into the world’s leading best-of-breed talent acquisition software provider with approximately 4,000 clients, $200 million in 2017 annual recurring revenue, and generating double-digit growth each of the past five years. In this role, Feigenbaum ensures internal operations are optimised to create an unparalleled customer experience for iCIMS’ customers by overseeing the integration of sales and customer service delivery strategies into iCIMS’ global operations. Previously, he served as iCIMS’ Director of Sales from 2003-2009. Through that role and then eventually as Chief Customer Officer, he has worked to integrate and align the voice of the customer into every step of the iCIMS experience. As a lifelong New Jersey native, Feigenbaum proudly holds a BS in Business Management from Rutgers University. "The core value that stands out the most to me is drive. Our success is predicated on our customers’ success. These shared outcomes can only be achieved if we are as driven and motivated as our customers to achieve the goals most important to them. It is that drive that has allowed iCIMS to stand out from the landscape of other technology providers, and it is that drive that will continue to make iCIMS’ customers the most successful in their own wars for talent."